Ecommerce is big business and having a great ecommerce website is just the beginning. Attracting the right audience to your site is vital but so too is keeping them interested enough to find what they are looking for and to make that all important purchase. One thing that can make a difference is product reviews. Most online shoppers will read reviews about the products they are searching for and as such, this makes it particularly useful for you to have reviews on your ecommerce site. It is worth taking the time and the trouble to encourage your customers to share their views on your site. These views are helpful in gaining customer trust and some studies have shown that shoppers are more likely to make a purchase based on the reviews provided by others. 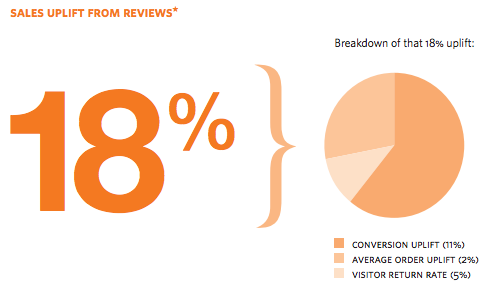 Customer reviews are not only helpful for potential buyers, they are also helpful for SEO purposes. So, do make sure that you have provided your customers with the ability to leave reviews on your site when they have made a purchase. There have been so many positive recommendations of the value of reviews for e-commerce, that the case doesn’t really need to be made anymore, though I’ll make it again anyway.